AP SSC Time Table 2019 - Board of Secondary Education, Andhra Pradesh (BSEAP) has published the AP SSC time table on December 3, 2018. The AP SSC exam will begin from March 18, 2019. The last exam will conclude on April 2, 2019. AP SSC Time table 2019 was released by state HRD minister Ganta Srinivasa Rao who also said that the AP SSC result will be declared within one-month post conduction of the exam i.e. before May 2, 2019. Students appearing for AP SSC exams can check the detailed AP 10th time table given below in the table along with the exam timing. As per the reports, more than 6 lakhs student will appear for the AP SSC 2019 exam. Student after checking the AP SSC time table should plan their preparation and revision plan. They must also practice the previous year question papers to have an edge over others. It would also help them in time management and increasing speed for the actual exam day. Candidates must go through the detailed AP SSC time table and note all the exam dates. Read the complete article to check the AP SSC date sheet, exam timings and other details. The table below mentions all the dates related to AP SSC time table. Students must keep this exam calendar handy to avoid missing any relevant date and plan their preparations well. The table below enlists the date sheet for Andhra Pradesh Board 2019. All the exams will be conducted in the Morning shift. Andhra Pradesh board prescribed the AP SSC syllabus for 2019 exams. This syllabus comprises the syllabus of all subjects like Hindi, English, Science, Mathematics, and Social Science etc. Syllabus helps the candidates in order to prepare for the exam as it contains all the units and topics asked in Exam. Candidates must go through the detailed syllabus of AP 10th class and AP SSC time table 2019, to prepare smartly for the exams coming in March. Andhra Pradesh board prescribed the Exam pattern for AP SSC exams. 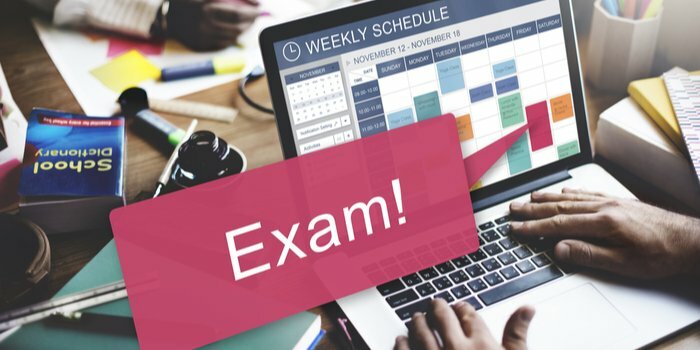 This exam pattern will help the candidates to be familier with the marking scheme, the duration for exams and the types of the questions asked in the exam. Candidates must follow this exam pattern and AP SSC time table while preparing for the exams. Candidates must go through with the syllabus and Exam pattern of AP SSC exams and assign priority to the topics and subjects. Use textbooks and reference books and get suggestions from teachers about important topics and books. Prepare notes of difficult topics and revise it regularly. After completing the syllabus, Go through the previous years question papers/sample papers. It will help you to increase your speed and accuracy. While solving previous year question paper, candidates must follow AP SSC time table 2019 and constrained time of exam. BSEAP will release the result of AP SSC exam before May 2, 2019. Students can easily check their result by entering their roll number. AP SSC result comprises of students name, grades, qualifying status etc. It will be provisional marksheet, board will send original mark sheets to the respective schools after some days of result. candidate should check step by step process to see AP SSC result.